Get used to it; there’s a lot going on right now (part of the reason of why there hasn’t been much posting lately, the other being laziness of Lady Bertramish proportions; though we are quick to point out that Lady Bertram didn’t work full time, which makes us tired, which leads to laziness). We are delighted to have been featured on several bookish blogs both in interviews and reviews, both for the re-release of The Jane Austen Handbook and for There Must Be Murder. Vic of the Jane Austen’s World blog kindly hosted us for an interview, in which we discussed Henry Tilney, the Austen fandom, traveling to Austen Country, and Henry Tilney. One can never talk too much about Henry Tilney, after all. NA was the fifth of the six novels that I’d read (MP was last) and when this charming, funny guy showed up, I was instantly attracted to his obvious intelligence and wit and general coolness, but it seemed to me that in the other four novels I’d read, the funny, charming guy turned out to be the villain. Thus, I spent the whole book waiting for the other shoe to drop. Imagine my joy when I got to the end and realized it was not only fun to love Henry Tilney, it was the right thing to do. We were also interviewed on the Bennet Sisters blog, which also included a review of The Jane Austen Handbook. I would hate to call this hardback a ‘textbook’, a word that conjures up days of sitting in a classroom and staring at a clock, as while it includes an index… it is far too much of a joy. However, Sullivan has an instructive tone that, while playful, gives full force to the sense that this IS the Regency era- and these rules are important. With an ironic twist to her style, it is clear that the author has thoroughly delved into Jane’s work and come out the other side holding these thoughts in her mind. Afterall, only a true Janeite could admit to the “sheer tingling joy one experiences when two interesting, complex and occasionally aggravating characters have at last settled their misunderstandings and will live happily ever after, no matter what travails life might throw in their path, because Jane said they will, and that’s that”. Savvy Verse & Wit reviewed the Handbook (and will have an interview with your humble servant sometime soon). 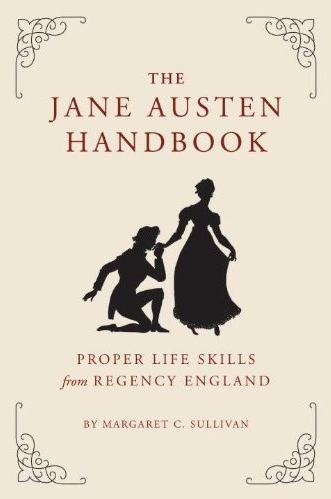 The Jane Austen Handbook: Proper Life Skills from Regency England by Margaret C. Sullivan is a great companion for the Jane Austen fanatic and fan because it offers guidance on how young men and women navigated a complex set of social rules and even broke them at times. As each moment in life is addressed, Sullivan also offers moments in Austen’s work where traditions are bent. Overall, a fantastic guide to a time period that many modern readers have a hard time imagining but will have fun navigating in not only Austen’s novels but also in the handbook. It gives new meaning to role-playing. Confessions of a Book Addict also has a review of the Handbook. 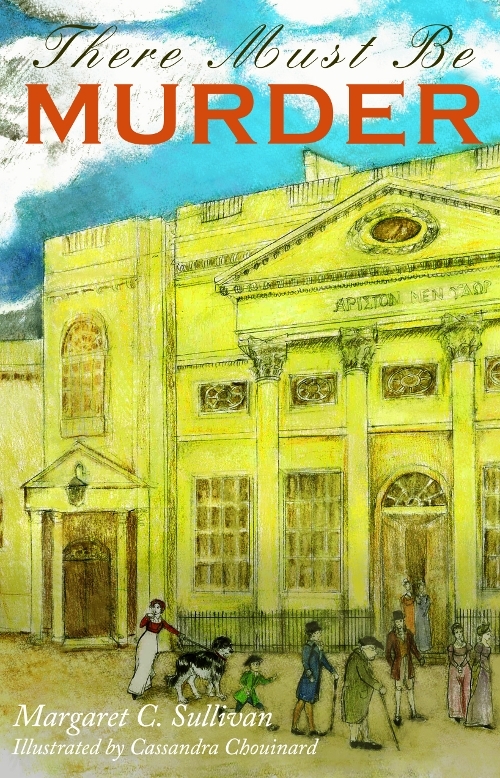 This book is the perfect coffee table book for fans of Austen. It includes beautiful illustrations as well. As I was reading this handbook, I thought that it would be an ideal fit for a Jane Austen book club as this answers many of the questions that I am sure would arise if Austen virgins were exposed to Regency England for the first time. So I added this to my Kindle and have had the most enjoyable time with Henry and Catherine as they return to Bath shortly after their marriage – filled with Tilney’s expected wit and humor, Catherine’s laughing at her own efforts to not be temped into gothic thinking, an almost romantic General Tilney pursuing a lovely Bath widow, a possible rival for Henry’s attentions, a fair bit about Henry’s newfoundland much appreciated by dog-lovers everywhere, and a possible murder indeed [no spoilers here!]. The illustrations by Cassandra Chouinard are a perfect accompaniment to this fun read – who can resist a few hours with Henry Tilney! ~ highly recommended. And Jane Greensmith, who won a copy of There Must Be Murder in a giveaway here, was kind enough to post a review on her blog. A quick read, There Must Be Murder, is a treat for Janeites and a must for those of us who are consider themselves players on Team Tilney. Thanks to all our lovely and talented hosts, reviewers, and interviewers! It’s fun to meet people and to think and write about Jane Austen’s work and the Austen fandom. We’ll have a giveaway of the Handbook and possibly some more copies of TMBM soon–stay tuned! Tags shameless self-promotion, The Jane Austen Handbook, There Must Be Murder, you like us you really like us! Because for what else do we blog, but to notice other authors’ books and put our own forward in return? Sullivan has captured the charm and endearing delight of Austen’s characters beautifully, added new ones rich in folly and nonsense, and a Newfoundland dog named MacGuffin who steals every scene. The numerous illustrations by Cassandra Chouinard are enchanting. My only disappointment was in the length. It was over much too quickly. Alexa Adams, author of P&P variation First Impressions, also enjoyed our novella. In Ms. Sullivan’s hands, the Tilney’s marriage lives up to all the promise with which Austen infused it. 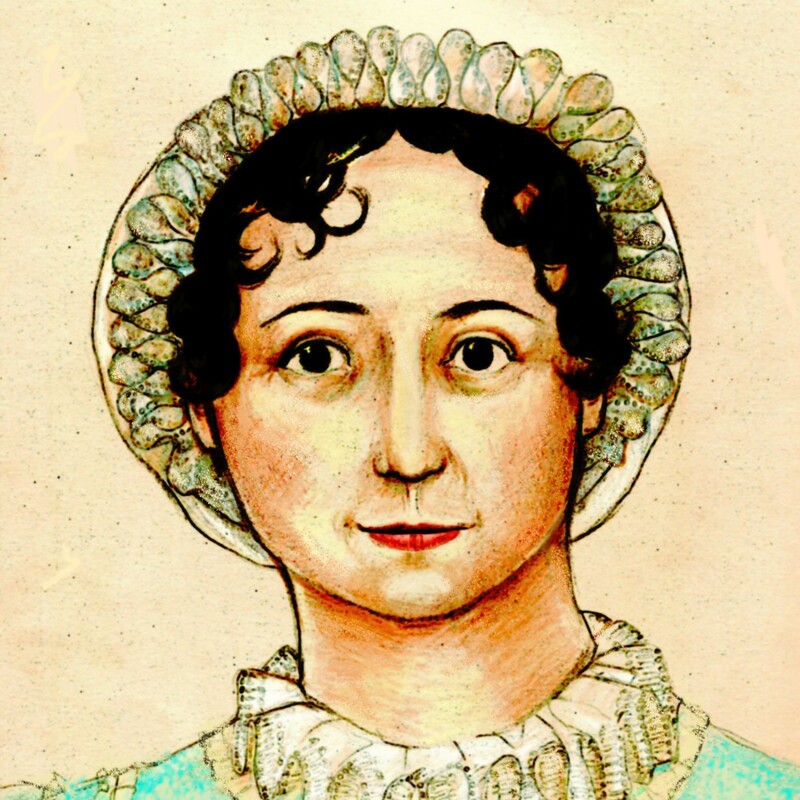 Romantic while not being tawdry, mysterious without relying on needless drama, There Must Be Murder is a beautiful and loving homage to both Jane Austen and her first full-length novel. Thanks to both ladies for the kind reviews! There Must Be Murder is available from Librifiles and Amazon. If ordered from Librifiles, use the code 95Y8NF33 to get a 20% discount from the list price (this works for all Librifiles books, by the bye). You can also get the DRM-free ebook at Girlebooks, and it is also available on Smashwords and as a NookBook. The ebook (which is free) is available in several formats–if you need a format that is not available at the Girlebooks link, do let us know. Henry and Catherine Tilney are content with their married life: a comfortable parsonage, their dogs, and one another. The idea of returning to Bath a year after they first met there seems like it can only add to their happiness; but Catherine finds that Bath still carries social dangers that she must learn to navigate. What is the nature of Henry’s past relationship with a beautiful young woman? Why is a rakish baronet paying Catherine such particular attention? Is General Tilney going to marry the woman known in Bath as The Merry Widow-and what did she have to do with her husband’s death? And will Henry ever be able to keep his Newfoundland out of the river? Revisit the winter pleasures of Georgian Bath with your favorite characters from Jane Austen’s hilarious Northanger Abbey, and prepare for a bit of romance, a bit of mystery, and a very nice story indeed! The novella, a lighthearted murder semi-mystery*, was first published in 2007 as a serial on the Jane Austen Centre at Bath Online Magazine and contains 29 illustrations from the talented artist Cassandra Chouinard. Cassi is not only talented but knows her Austen and knows her Regency, and is one of the funniest people we know, and it shows in her lovely illustrations. If you would like to win a copy of the paperback, leave a comment to this post with a valid e-mail address (no one can see it except the Editrix) by midnight Eastern time on Sunday, January 2. We will choose two winners on that date. *We like to say that TMBM is a murder mystery in the same way that Northanger Abbey is a Gothic.